mission advocating for a quality public school education for all students. 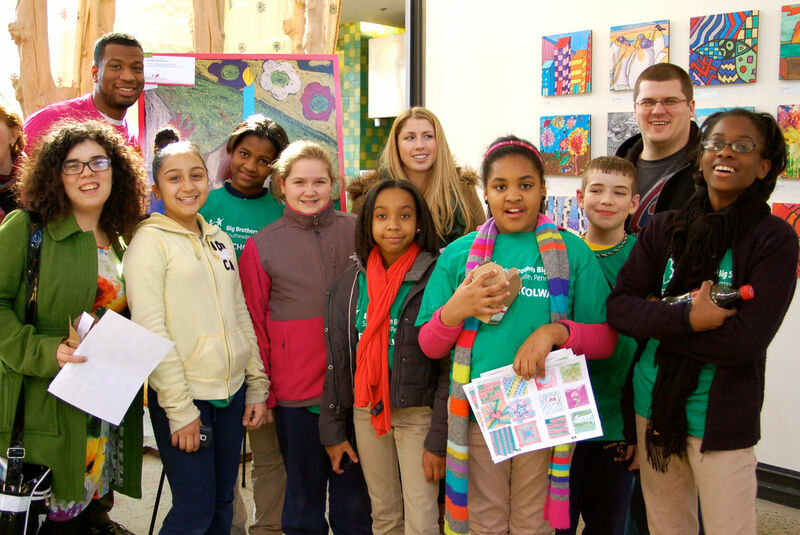 Fresh Artists is a turnkey corporate art program that fulfills a real business need while raising funds for future art making in under-resourced schools. 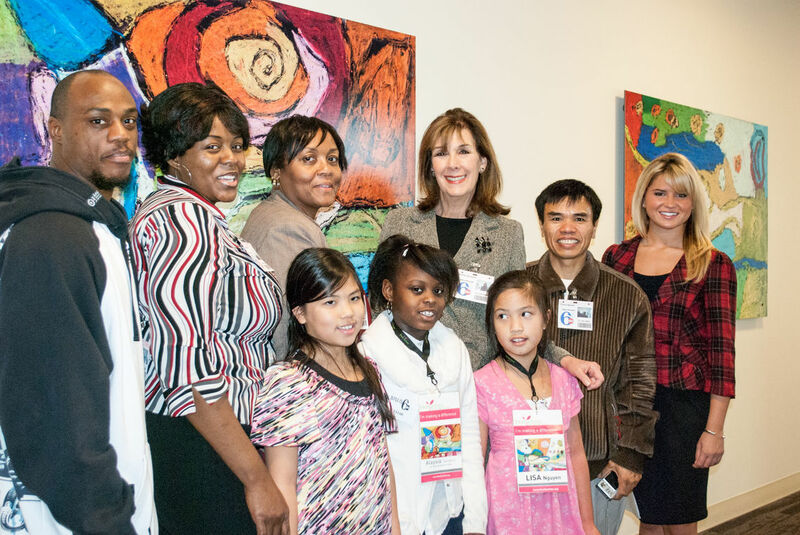 Artwork reproductions from Fresh Artists children transform offices into warm, inviting, colorful spaces while saving art education in public schools. You can also use our custom-designed art making programs to build teamwork among your staff. 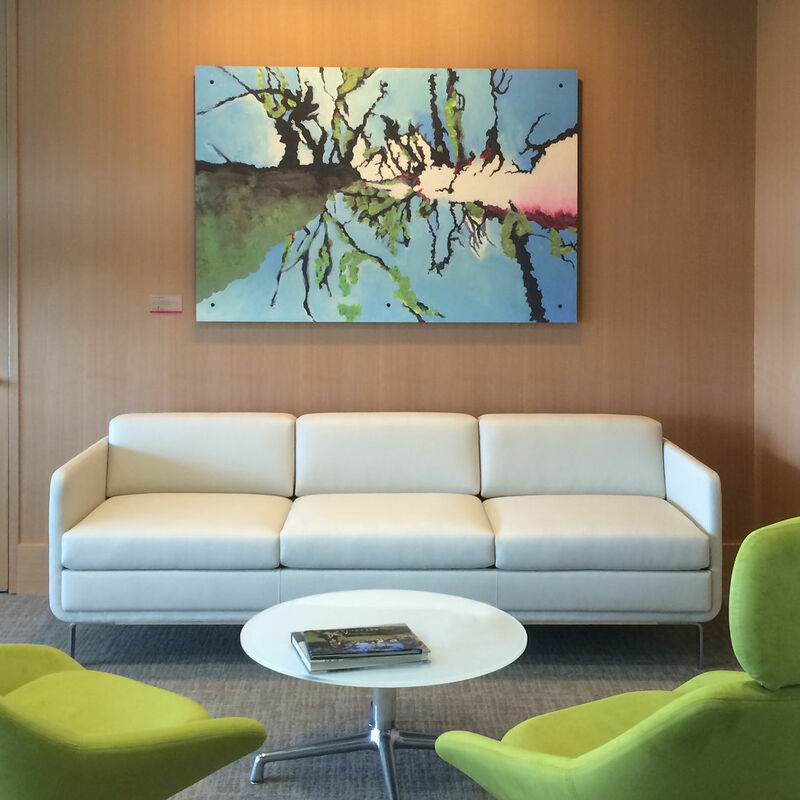 Check out our installation gallery to see examples of this extraordinary art on clients’ walls. Then imagine your workspace transformed! Fresh Artists is a corporate art program with a very different product. 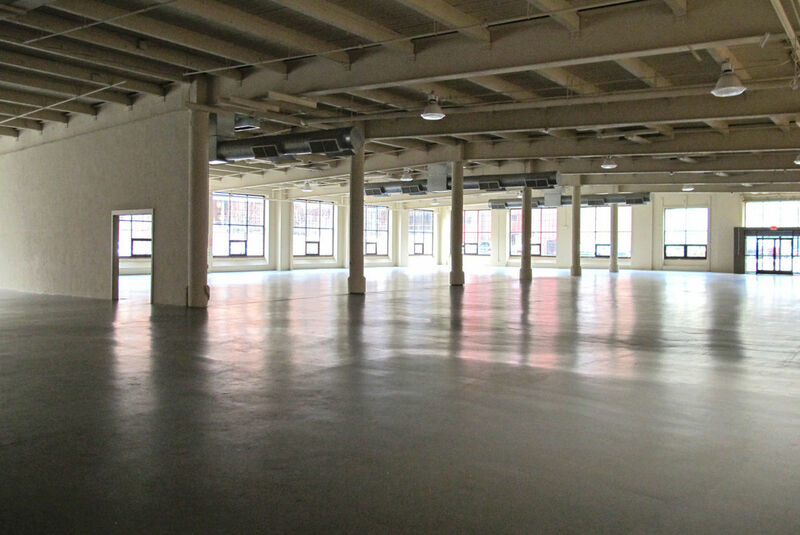 Working with you, your facilities manager, interior designer or architect, we survey your facilities, make a recommendation for art placement and size and give you an estimate for the job. If you like, we can also guide you in the choices of art. 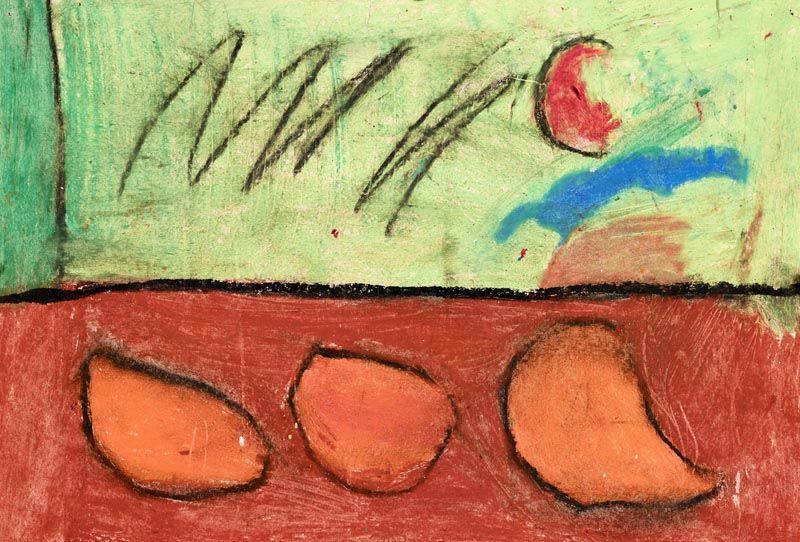 Our secret sauce is the artwork – all donated by small, talented and generous young citizens. The high resolution, large-format digital reproductions of K-12 children’s artwork are thank-you gifts for financial donations. We borrowed a classic public broadcasting fundraising technique – make a donation to your public TV station or NPR and receive a thank-you gift of minimal fair market value. Our reproductions have little or no actual “fair market value,” allowing a high percentage of your donation to be tax deductible. All financial donations to Fresh Artists are tax deductible, as we are a 501(c)(3) organization and registered as a national public charity to do business in all states requiring registration. The large-format reproductions are priced by size and method of fabrication. Corporations and businesses have one price; nonprofits, large and small, receive a discounted pricing on a sliding scale. Fresh Artists has a strong commitment to also provide a percentage of its artworks free to tiny, very poor nonprofits that serve the same constituencies we do. 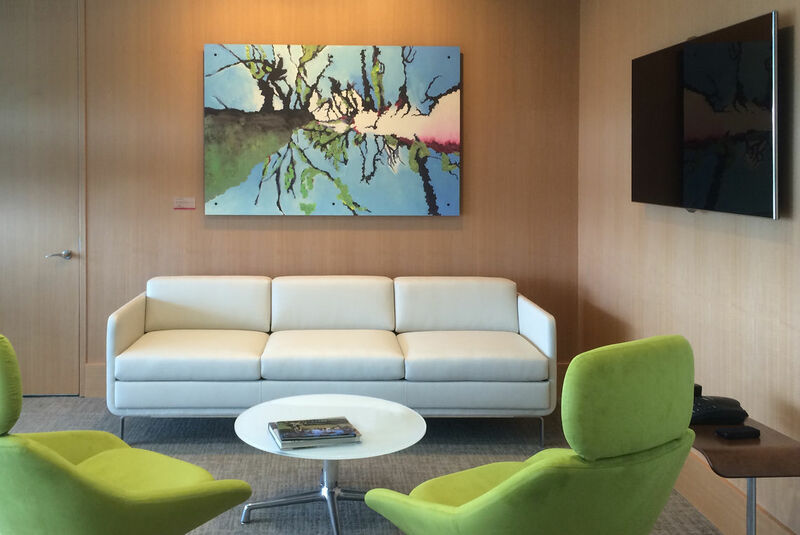 We can put together an estimate for artwork and installation. You then choose your favorite artwork from our online gallery, and we guide you in the size and placement to match each location. We offer a fun, team-building exercise that allows your entire staff to participate in the first round of art choices on our special “voting” site. You then make a donation to Fresh Artists based on the number and size of pieces you require. We schedule an installation date and take care of the fabrication and installation of the artwork panels and wall labels. Fresh Artists offers three standard fabrication choices for your artwork thank-you gifts. The donation level is commensurate with the type of fabrication you choose for your installtion. We can also work with your designers or design something truly one-a-kind to fit your needs. Our signature installation is an ultra high-resolution photographic reproduction using archival paper, ink, and adhesive. We mount to rigid 3/16” black core Gatorboard and float the image off the wall using standoffs. Second Surface Acrylic artwork is printed on the reverse of clear acrylic. All panels are affixed to the wall with 1” aluminum standoffs, giving an elegant appearance of floating. 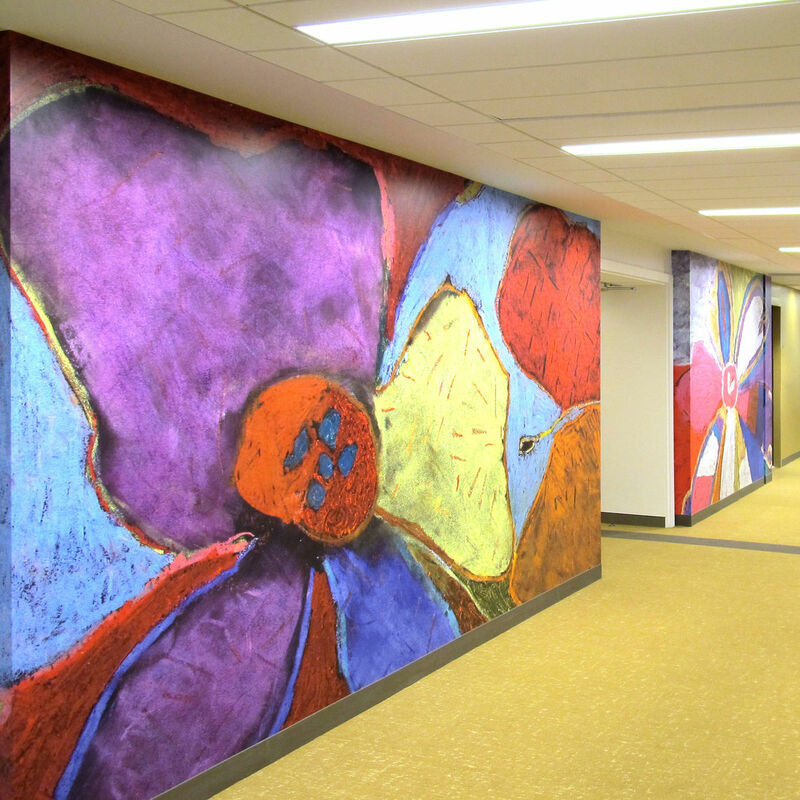 Our artwork is also available as durable commercial wallcovering, adding visual impact to your space. This option requires professional third party installation. re-gifting the original artwork to small nonprofits, homeless or emergency shelters or small, community-based social justice programs that would never be able to afford such vibrant artwork to decorate their facilities. This recycled artwork is reinstalled with museum-quality acrylic wall labels that identify your company as the donor, in partnership with Fresh Artists. 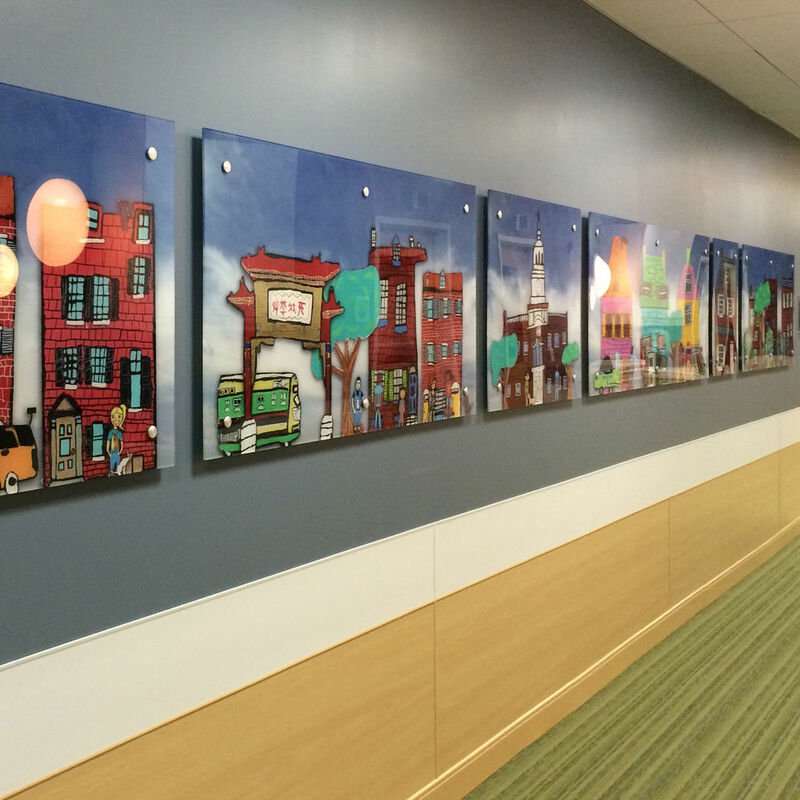 We've placed artwork in nonprofts such as the Nicetown CDC, Red Cross House, Covenant House, Verteran's Comfort House, People's Emergency Center, and many more. You may want to invite the children to visit your office and see their artwork scaled up to giant proportions. 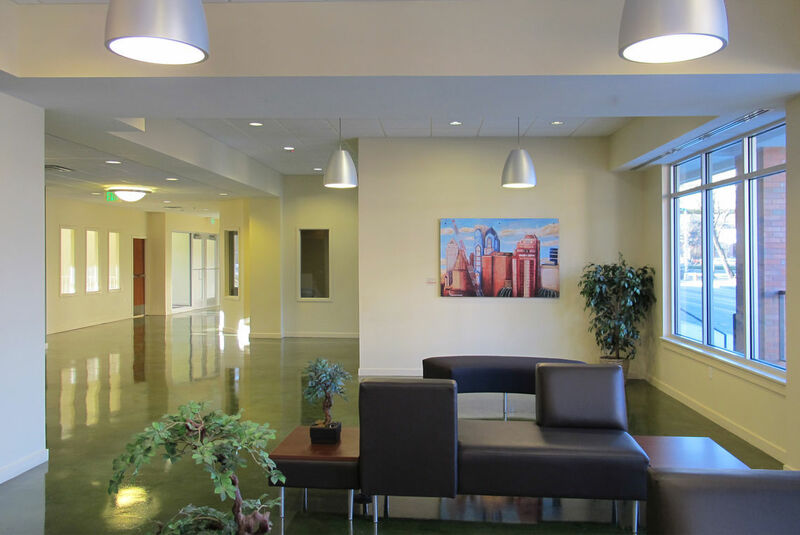 We try wherever possible to help arrange these visits, so the children and families can see the impact of their art both on the décor and on your employees. Cool Jobs is a week-long, pop-up creative community that brings working artists, designers and makers together in one place to demonstrate their creative work and professions to teens. The event will introduce hundreds of inner city 7th graders to real jobs in the creative economy in the hope that they discover a passionate interest, stay in school and pursue a path towards their dream through high school and into college or trade school. The evening before the weeklong, city-wide, student event launches, our corporate sponsors and luminaries from the creative economy will be feted at a gala cocktail party where they can interact with our panoply of star artists, designers and makers demonstrating their craft. ​practicing creatives about Cool Jobs in the creative economy! Fresh Artists has several innovative projects that provide ways your staff can work together and feel good about their participation. Great for interaction between parents and children, Big Brothers/Big Sisters, for Martin Luther King Jr. Day of Service or for company retreats and picnics. Fresh Artists is grateful for financial gifts of any amount. Honor the life or memory of someone important in your life or work or to thank a favorite art teacher or creative mentor! We will acknowledge your gift to you and to your honoree or their family. There are significant tax incentives for those who are considering a gift of appreciated assets such as stocks and other securities. Please contact us for information regarding a gift of real estate, personal property, automobiles or other assets. Regardless of other estate plans you have made, a bequest to Fresh Artists offers you a practical way to minimize estate taxes and is a thoughtful way to make a gift to deserving schoolchildren. An outright bequest in a will can be made with cash, securities or other property. "Fresh Artists makes my art LOUD, so people can hear me."